It's easy to grow this extra large blocky bell pepper even under cool conditions. 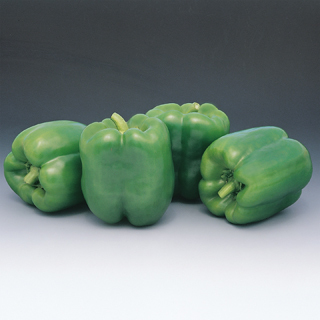 Crunchy sweet - these colossal sized 6" wide and 6" long bell peppers are firm and beautiful. Colossal is slow to turn red for those who prefer green bells. Plant height: 22 – 24” tall. Adaptable to patio containers. 70 days.